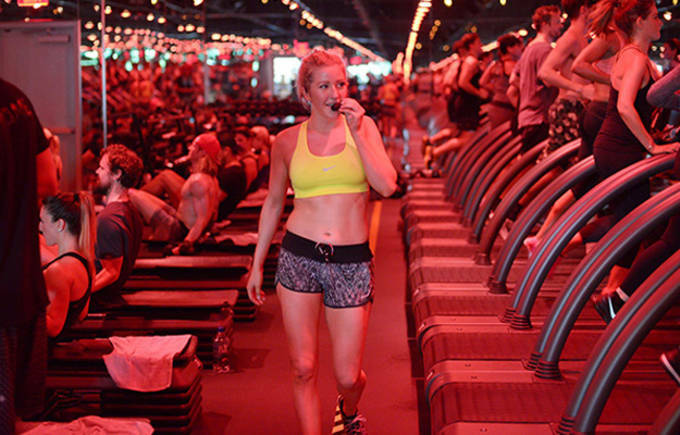 Imagine showing up to your regular boot camp class and you&apos;re trainer for the day is none other than Ellie Goulding. That&apos;s what happened to one lucky class at Barry&apos;s Boot Camp in Miami Beach, as the pop star stood in as a celebrity instructor. Goulding&apos;s fitness track record certainly speaks for itself. Not only is she an avid fitness nut, but her penchant for running half marathons has landed her her own Nike commercials. But back to the class, rumor has it that Goulding took over for instructor Derek DeGrazio’s class, taking over microphone duties for the last few intervals. Like any good popstar would, Goulding was also on playlist duties, as she curated her own mix for the class to sweat to. Check out photos from Ellie Goulding&apos;s surprise boot camp appearance below and keep it with Sneaker Report for all your celebrity fitness news.